High profile brand marketer Wendy Clark is to leave the soft drinks giant after seven years at the company. The self-proclaimed "fearless" female leader is leaving the global giant for a role at DDB Worldwide. Marketing charts the famous campaigns that shaped the era of her leadership. Wendy Clark, current president, sparkling brands and strategic marketing at Coca Cola will join DDB Worldwide in January where she will serve as president and CEO of North America. Since joining Coca Cola in 2008 as SVP integrated marketing, where she was tasked with helping double the business by 2020, she has been credited with creating and overseeing some of Coke's "most innovative and engaging campaigns." Clark, who admits she was "hell bent on being an advertiser" since college has also helped push forward the business' internal "lift as you climb" mantra for women in leadership. As industry awaits confirmation of her replacement, Marketing charts some of the campaigns that defined the Coke brand under her leadership. During the summers of 2013 and 2014 Coke’s marketing strategy made headlines in GB when it swapped the powerful equity of its own brand for the names of consumers across 70 countries. The campaign had originally kicked off in Australia in 2011. 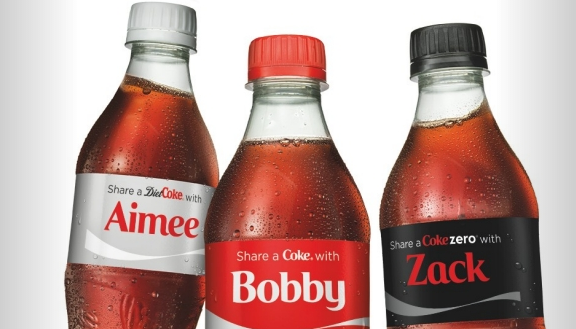 Picking up seven awards at Cannes Lions, the campaign sold 730,000 glass bottles personalised via the e-commerce site and drove conversation on social media with 17,000 virtual name bottles shared online across Europe and 235,000 tweets using the #ShareaCoke hashtag. Letty Edwards, Founder at The Mind Collective said Share a Coke is the definitive campaign of the era. "Coca Cola was at the forefront of creating a personalised campaign in a genuine and engaging way via ‘Share a Coca Cola’, with the simple (but no doubt operationally complex) idea of printing names onto the labels of core products," she said. "Consumers across multiple countries went crazy – not only did they create unique branded content but they shared it … again and again. The campaign was a huge success and is frequently used by agencies and clients as best-in-class when it comes to personalised marketing." When Mad Men's creator, Matthew Weiner, approached Coke to use its famous 'Hilltop' ad in the series, he did not tell the business "how it would be used and under what situation it would be used", meaning the brand would have to cede control of what Clark has described as Coke’s marketing ‘crown jewel’. It was a calculated risk on the part of Clark that paid off for the brand. The full 60 seconds spot played in the final frame of the popular series in a move that immortalised the campaign further in ad-land history. "Belief is one of the most powerful leadership tools that any of us has, I cannot overstate that," she said in a panel at Cannes this year, where she admitted "You could essentially call it a fireable offence to mess with 'Hilltop." 2014 marked Coke's biggest ever marketing activation for the FIFA World Cup in more than 175 countries making it the 'most recognised' brand sponsor, Coke claims. Announcing Clark's departure, Coke's North America president Sandy Douglas credited the activation as being one of the brand's "most innovative and engaging campaigns" in its history. 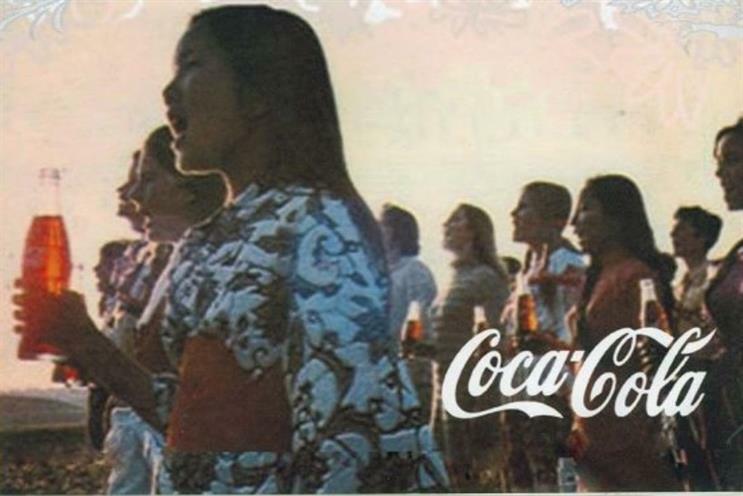 One of its biggest investments, the sponsorship comprised the ‘One World, One Game’ TV and digital ad, a series of documentary-style short films under the banner ‘Where Will Happiness Strike Next’ and stunts including a ‘Happiness Flag’, described by Coca Cola as "the largest photomosaic ever created featuring fan faces and messages". While some have accused sales of Coke Life as being disappointing, the launch of the product is no small manoeuvre for a soft drinks business of Coca Cola's size. The launch of Coke Life in September 2014 was the first Coke branded launch since Coke Zero in 2006. What it signified was two things: firstly, it indicated the company's move towards lower and no sugar alternatives as well as its move towards natural sweeteners such as Stevia. But it also signified a change in the carving up of marketing budgets in GB across the Coke portfolio. 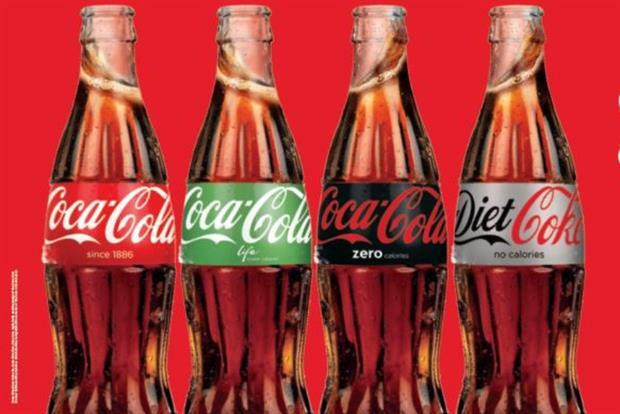 With the launch of Coke Life, the drinks giant pledged to give equal marketing weight to all variants across the portfolio. Though led by Bobby Brittain in the UK, the strategy reflects the brand's aim to garner 50% of cola sales in Great Britain from lower and no calorie by 2020. The move is an indication the business is reacting to the turning tide against sugar. The global Open Happiness marketing campaign first kicked off in 2009 and has been developed ever since. The brand has a long history of allying itself with the concept of happiness since the "Enjoy Life" slogan of 1923. 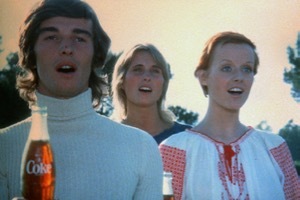 Campaigns through the years have linked Coke with the good life, including 1979's "Have a Coke and a Smile" and "Open Happiness" since 2009. The long running campaign was reinvigorated in June with an upbeat spot which asked people to "Choose Happiness" (and Coca Cola). The upbeat spot aimed to bring to life the characteristics of each Coke variant together for the first time whilst referencing the heritage of the brand. It included an array of cultural moments across the decades, from the 1890s, through to the 80s and 90s, and up to the present day. The latest iteration also featured 300 live billboards measuring the happiness of Brits by measuring the sentiment of words that tweeted alongside the campaign hashtag #ChooseHappiness. Within Coke's London 2012 Olympics campaign, the brand wanted to elevate marketing to "make a real connection" between its commitment to healthy living and the event and enlisted the help of Mark Ronson to do something a little different. The campaign, which got 345m views, featured a track by Ronson called "Move to the beat", made using recordings of the sound of athletes playing sport with vocals Katy B in a bid to reach out to the world's 680m teens. The global activation was leveraged via various digital platforms as part of the largest digital and mobile investment in Coke's history.